The Buddha presented simple principles of life and practical ethics that people could follows easily. He considered the world as full as misery. Man’s duty is to seek liberation from this painful world. He strongly criticized blind faith in the traditional scriptures like the Vedas. Buddha’s teaching are very practical and suggest how to attain peace of mind and ultimate liberation from this material world. The knowledge realised by the Buddha is reflected in the following four noble truths. 1. There is suffering in human life: when Buddha saw human beings suffering from sickness, pain and death, he concluded that there was definitely suffering in human life. 2. There is cause of suffering: The second noble truth is related to the cause of suffering. It is desire that motivates the cycle of birth and death. 3. There is Cessation of Suffering: The third noble truth tells that when passion, desire and love of life are totally destroyed, pain cesses. 4. Path of liberation: the fourth noble truth leads to a way that takes one to liberation. Thus, initially starting with pessimism, the Buddhist philosophy finally leads to optimism. An important guiding principle of Buddhist practice is the middle way (madhyama pratipada), which is said to have been discovered by Gautama Buddha prior to his enlightenment. The middle way is described as the practice of non-extremism or a path of moderation away from the extremes of self-indulgence and self-mortification. 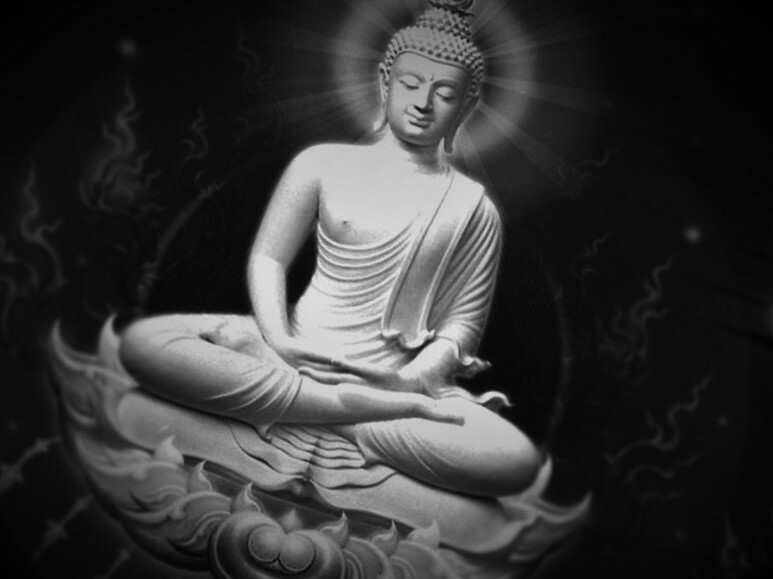 During the 4th Buddhist Council, Buddhism split into the sects of Hinayana and Mahayana. Hinayana: it means the inferior vehicle. This sect considered Buddhist as a man and gave his teaching an ethical value. Mahayana: This set subscribed to the theory of eternal Buddha’s., which resembled the Gods of theistic sects. 1. Right Vision: One can attain right vision by removing ignorance. 2. Right Resolution: it is the strong will-power to destroy thoughts and desires that harm others. It includes sacrifice, sympathy and kindness towards others. 3. Right Speech: Man should Know, how to control his speech. 4. Right Conduct: It means to avoid activities, which harm life. 5. Right livelihood: Right livelihood means to earn one’s bread and butter by the right means. 6. Right effort: It is also necessary to avoid bad feelings and bad impressions. 7. Right Mindfulness: It means to avoid bad feelings and bad impressions. 8. Right Concentration: If a person pursues the above seven rights, he will be able to concentrate properly and rightly.